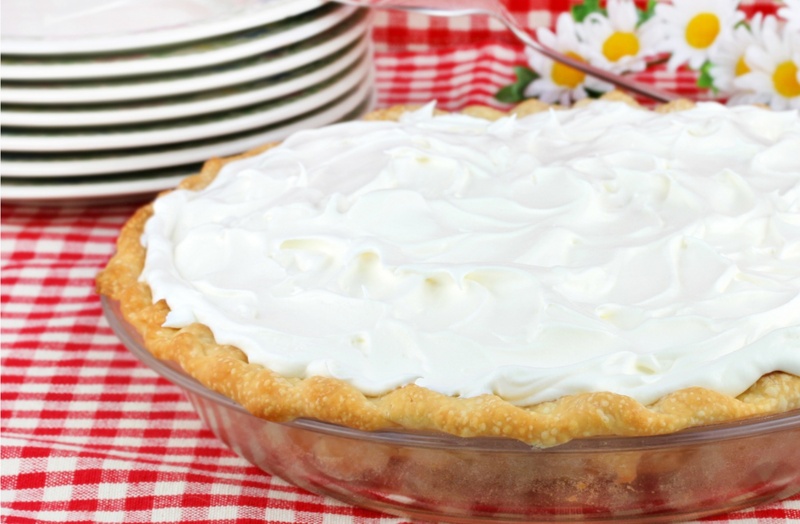 There are state birds, state trees, state flowers… but did you know there are state desserts? While not all 50 states have an official state dessert, each and every state is at least known for something sweet. We’ve compiled a list of the most iconic dessert for each and every state, and reading it is enough to make you want to take one very sweet road trip. You might have heard of Alabama Lane Cake in To Kill A Mockingbird, where it makes an appearance more than once. But that’s not its only claim to fame. 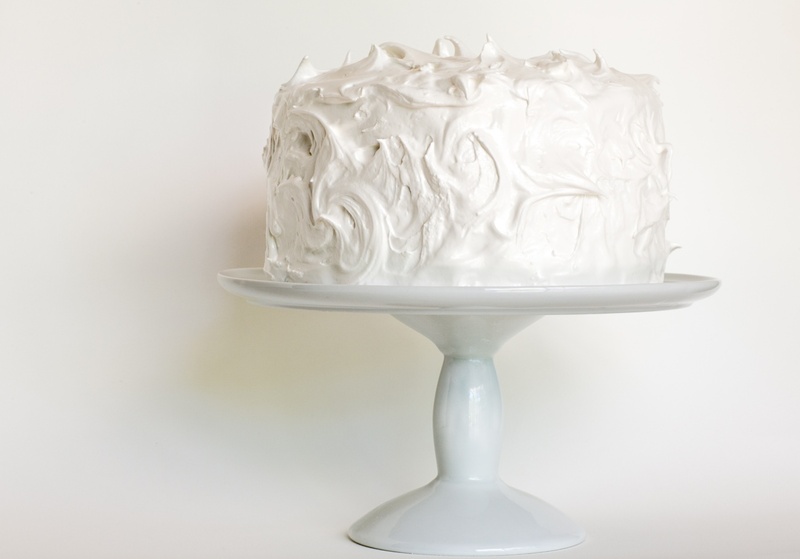 Invented by Emma Rylander Lane all the way back in 1898, it’s an award-winning white cake that’s lined with bourbon-soaked raisins and coated with a snowy white marshmallow-y frosting. 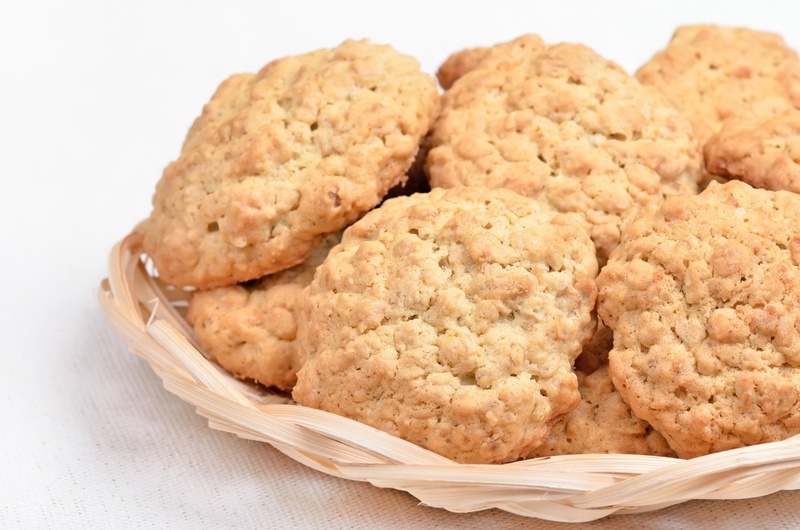 These sweet and chewy cookies are probably not quite like any you’ve had before. While they combine healthy-enough oats and coconut, they’re also studded with Rice Krispies and two kinds of sugar. They supposedly became popular when someone brought the recipe back with them a few decades ago after a family vacation, but they’re so good we know they’ll endure for decades more. Sopaipillas, a light and crispy fried leavened dough, evolved from the frybread made by the Navajo people. 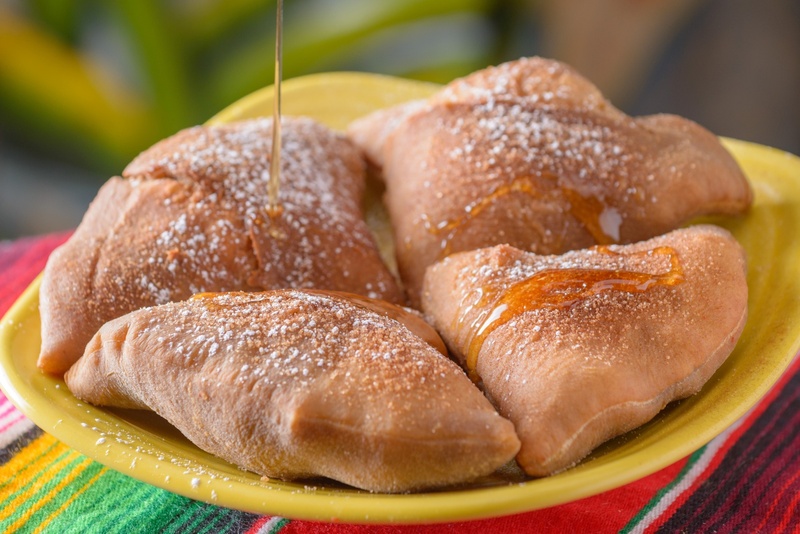 Popular throughout Arizona and New Mexico, it’s often served drizzled with honey for a wonderful salty and sweet treat. The name might be a little bit alarming, but we can promise you that no possums were harmed in the making of this pie. It’s actually just layers of sweetened cream cheese, pecans, and chocolate pudding all hiding (or playing possum) under a heavenly layer of whipped cream. 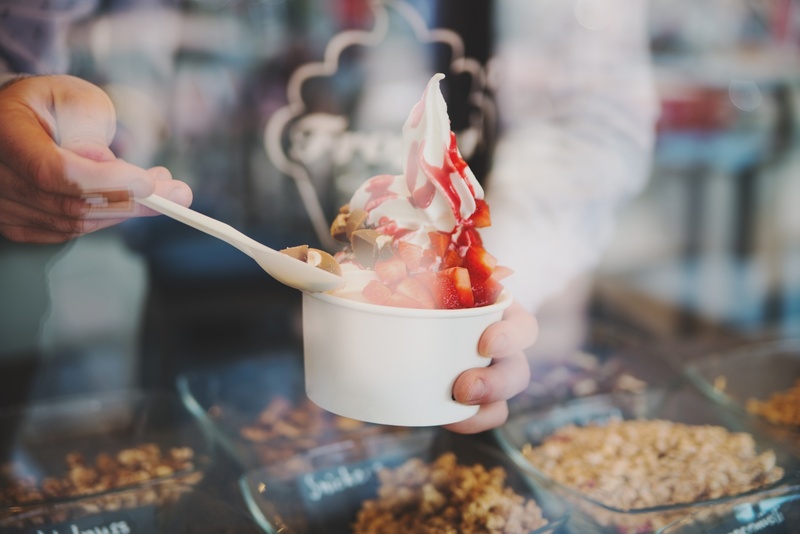 California is known for being health conscious, so it’s no surprise that this state was at the forefront of the frozen yogurt craze. Tart or sweet, topped with fresh fruit or candy, froyo can be found all over the vast state. Colorado might not be the first state you think of when it comes to peaches, but you should! 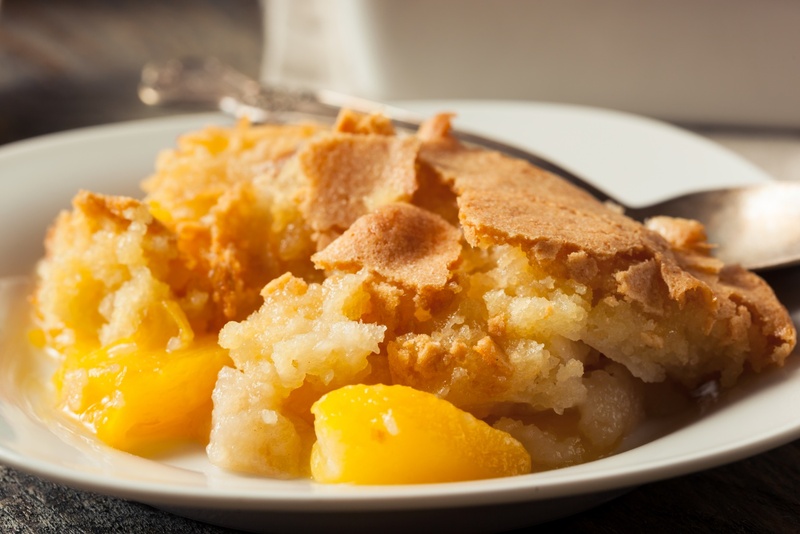 Their Palisade Peach Festival is a highlight of late summer, and juicy Colorado peaches make one irresistible cobbler. Connecticut is known as the Nutmeg State, but not because nutmeg grows there. The backstory might not make a lot of sense, but Connecticut’s Spice Cookies are delicious enough to make up for it. 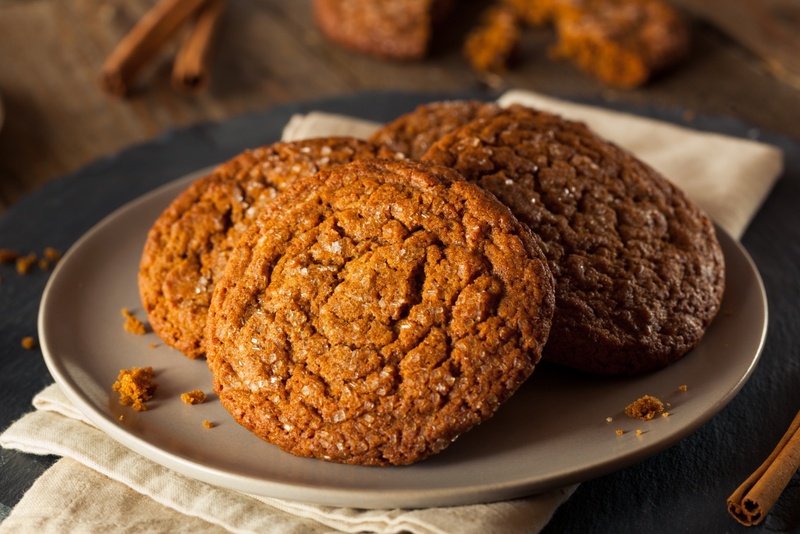 They probably became popular in the area because some of the earliest settlers (the Dutch) loved to use baking spices and that love created these chewy cookies, filled with cinnamon, ginger, and nutmeg. Delaware declared strawberries their official state fruit in 2010, and it’s clear from the House Bill that made that change that DE is pretty serious about their strawberries. “Whereas, strawberries are an important product of Delaware’s agricultural industry; and whereas children and adults love to pick their own strawberries; and whereas strawberries can be a refreshing part of everyone’s diet …” They sure can be a refreshing part of everyone’s diet. 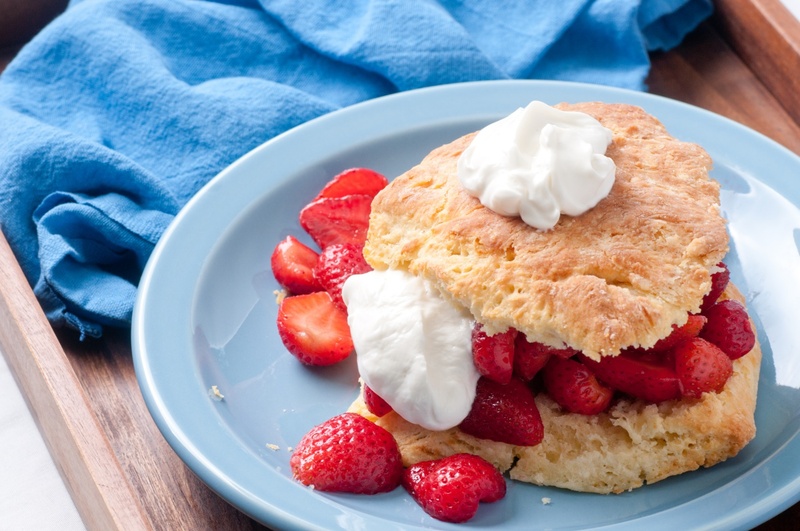 Luckily strawberry shortcake can too. It’s tart and sweet and refreshing as dessert gets. 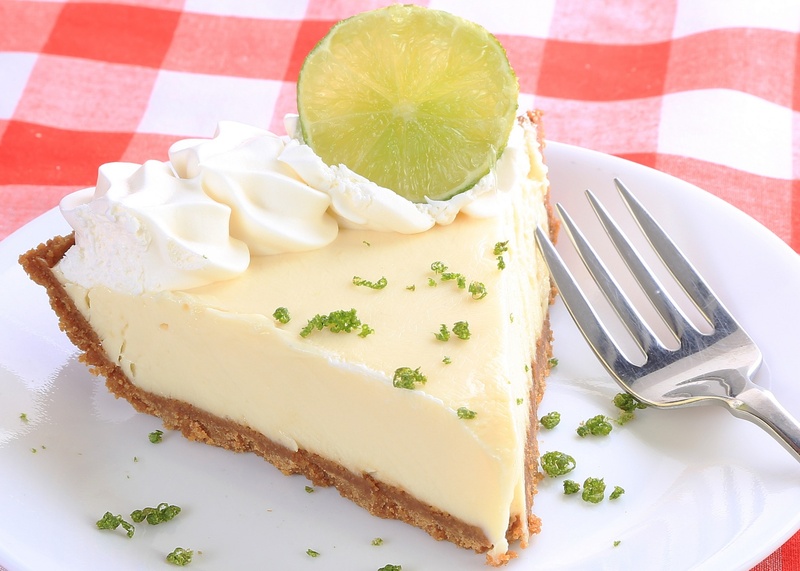 It’s also the official state pie of Florida, has its very own festival, and Key limes are only grown in the Florida Keys. It’s an iconic dessert if there ever was one! Click the next page button for ten more state desserts!